Child kidnapping, arbitrary arrests, shootings and beatings of West Papuan civilians to divert attention from military destabilisation of civil resistance. A massive upsurge in “mysterious acts of violence” around the Jayapura region of West Papua has many local observers blaming Indonesian security forces. There is a dedicated offensive to “crush separatism” and dissuade Papuan civil society from engaging in advocacy for self-determination, ahead of a planned Third Papuan People’s Congress and amid escalating mass civil resistance for independence. An eight-year-old Papuan girl was abducted by police and scores of civilians have been arbitrarily detained and beaten by Indonesian forces in an aggressive security sweep campaign around Jayapura, West Papua. In the latest crackdown 13 members of the Wakno Baptist Church were arrested on August 31 in Kotaraja, a suburb of Jayapura, by Police and Detachment 88 anti-terror troops. Heavily-armed plain clothes troops, BRIMOB paramilitary police and intelligence officers raided the houses of Giki and Giben Kogoya just before 0500 local time, looking for perpetrators of an attack that killed several Indonesian colonists in Nafri on August 1. Local human rights activists reported that many locals fled into the forest, fearing for their lives, after warning shots were fired. The raid at the shepherd’s house was witnessed by scores of local residents. Police chased a terrified eight-year-old, Desi Kogoya, catching her in the forest just before dawn during the arrest of her family, but the whereabouts of Desi and several of her family members were unknown for several days. Jayapura Police returned her to her family around lunchtime on September 7 after initially denying arresting the child or having her in custody, despite the witnesses telling Baptist priests that they saw her being dragged away and bundled into a truck. 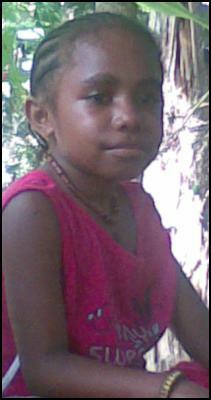 The Fellowship of Baptist Churches of Papua has condemned the kidnapping of Desi, saying “that she is just a child that has no idea of the activities of her parents.” In a statement, a spokesman for the West Papua National Committee (KNPB) labelled the kidnapping of Desi Kogoya “a clear violation of Indonesian Human Rights Law” and has demanded that police immediately bring her home. “This is a clear violation of Indonesia’s obligations under the Convention on the Rights of the Child.”. At time of writing it was unclear as to the current condition of Desi. 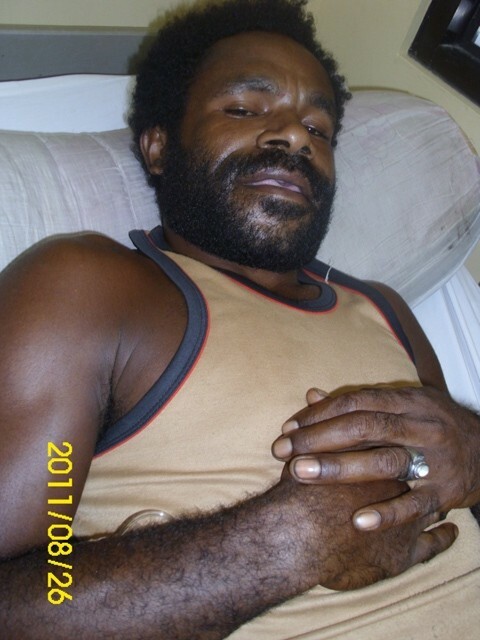 On August 15, Jayapura District Police Assistant Senior Commissioner Imam Setiawan accused Dani Kogoya, the alleged Jayapura area commander of the West Papua National Liberation Army (TPN-OPM), of responsiblity for the Nafri attack – despite the violence being initially linked by police to “unknown persons”. Credible independent observers have widely linked the violence to elite security forces intent on violent destabilisation of pro-independence civil resistance, part of a deepening campaign of seemingly random violence against West Papuan civilians. Indonesian security forces have a long record of arbitrary arrests and violent actions against civilians in the Kotaraja and Tanah Hitam neighbourhoods, with several military operations causing displacement of civilians and their families. In December 2010 a particularly brutal operation resulted in the arrests of 8 local men. Residents accused the military and police of planting weapons and evidence to link Dani Kogoya to acts of violence also blamed on “unknown persons”. 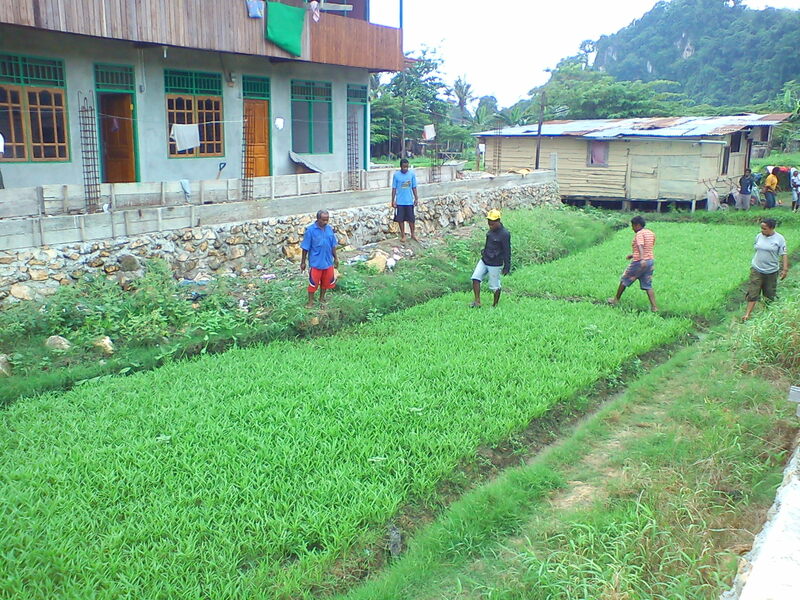 The neighbourhoods are strongholds of Dani and Lani families, who have moved to Jayapura for education or employment opportunities absent from their home tribal areas – in the Baliem Valley and highlands. The Kogoya clan, like many in local area, is a large Dani clan from the highlands of West Papua, with members in the pro-independence movement, ordinary farmers, and public servants. Local sources say Dani Kogoya had never visited Biben Kogoya’s house, and Police concede that he escaped the raid. The Fellowship of Baptist Churches in Papua has reported that the men arrested were forced by police to pose as perpetrators of the violence in Nafri. During a welfare visit to the Jayapura Police cells on August 31 the arrestees told PGBP General Chairman, Socratez Yoman, that they were not involved. Those arrested were Desi Kogoya (8) and 13 other family members including Tinus, Arinus and Wen Wenda; and Mis, Bodi, Denias, Yawanus, Siki, Yeskiel, Yusman, Ekimar and Panius Kogoya. Of the 12 people arrested on August 31, ten were eventually released from Polsekta Jayapura, leaving two men – Ekimar Kogoya (22) and Panius Kogoya (20) – still undergoing interrogation. The arrests are being greeted with great scepticism by a highly traumatised local population. They accuse police of deliberately failing to find the real perpetrators of multiple acts of violence, and of scapegoating West Papuan people. Indonesian Police in Jayapura have issued numerous contradictory statements surrounding the recent upsurge of violence, especially the Nafri case. According to the Jakarta Post the Papua Police spokesman, Senior Commander Kombes Wachyono, said on September 1 that the incident was simply a criminal act and had nothing to do with the Free Papua Organization (OPM). Ferry Marisan, director of local Papuan human rights organisation ELSHAM Papua, told Radio Kbr68h that those arrested were simply not at the scene of the Nafri attacks, and were high school and college students committed to nonviolent civil resistance for Papua. Marisan, based on extensive investigations by ELSHAM, suspected the police of fabricating the case to link the detainees to the “separatist” OPM, and convict them of the violence – taking suspicions away from the security forces . “According to us, from ELSHAM (view) it’s not something new for police officers to always blame Papuans, put them on trial, and to prosecute them as the actual perpetrators. (With) Elsham’s longer investigation, we also find other evidence. There are some people other than Papuan people; we can definitely say they are part of the shooting. ” Marisan said. Socratez Yoman, the Chairman of the Baptist Church, also demanded security forces find and arrest the genuine perpetrators of all the violence. “’Unknown Persons’ (OTK) are to be sought and arrested instead of the little people being scapegoated. Orchestrated theatre such as this must be stopped because it just destroys the authority and public view of the government and security apparatus in Indonesia and the international community. The authorities have failed to protect the people. We hope and we ask the security forces to free the two detained civilians. Do not be injured or injure the conscience of the people of God,” Yoman said. According to local human rights and activist sources, it seems the police are fully aware of the real perpetrators of ongoing acts of violence, which is most likely connected to operational and funding competition between Police paramilitary forces and the elements of the rogue special forces, Kopassus. West Papuan civil society has become progressively more active in demonstrating discontent at Jakarta’s failure to show the least concern for Papuan social, economic, development or security welfare. Increasing civil resistance has been emerging across Papua, with Jayapura a significant focus for regional grievances. Jakarta is studiously ignoring Papuans’ core demand – removing its security forces from the streets. Local observers are seeing an increased display of muscle as the real demonstration of Jakarta’s resolve. Activists who have been identified as key figures in organising creative resistance are feeling the full force of the state, not limited to any single branch of state. “The illegal use of TNI forces also provides more evidence of the weak role of Polri in taking charge of security in Papua. Polri is increasingly showing that it lacks confidence in itself and its incapacity to take charge of security” said KontraS on September 3. Since August 1, Indonesian security forces have been heavily deployed across the Jayapura region, conducting a campaign of indiscriminate and heavy-handed raids against civilians across an area from Genyem, west of Lake Sentani, to the PNG border. A special roaming correspondent for West Papua Media reported from Abepura that local people are deeply fearful of the military activities and indiscriminate targeting of civilians, and human rights workers and pro-independence activists particularly are on guard. Indonesian intelligence officers are monitoring every conversation and groups of more than three are being harassed across the military operations area. Many sectors of Papuan civil society, together with international human rights observers, are noting that this campaign is extending to all forms of political expression – peaceful, political and pastoral – and is causing terror to the families of those even who have not engaged in political activity. Witnesses and correspondents are describing the atmosphere as a warzone, with soldiers on the streets and harassing groups, conducting training and random Stop and Search, and indiscriminately targeting Papuan youths during sweep operations to flush out perpetrators of recent violence. Activist sources have reported seeing many groups of “people who are new in town” roaming across all areas from the ferry terminal and throughout the city, acting in an intimidatory fashion. “There is only one organisation that can have people act tough on the locals on their first day in a new town, and we call them the ghosts,” said a foreign observer present during this upsurge, recently returned from Papua. Armed Intelligence officers, working in conjunction with pro-Indonesian militias of Barisan Merah Putih and Aswain (Uni Timor Asawin / United Sons of Timor, the vehicle for ex-Timor militiamen led by the notorious indicted war criminal Eurico Guterres), are regularly shadowing activists and their families, and conducting random roadblocks in isolated streets, according to witnesses. Of course, like any terror campaign, “unknown persons” do not limit their victim to just one side, in order to create maximum terror and deniability. In an eerie simulacrum to his own stabbing in early 2011 after he broke a story on police abuse of detainees, journalist Banjir Ambarita reported the killing on August 23 of Captain Tasman, 53, from the Cendrawasih Regional Military Command. 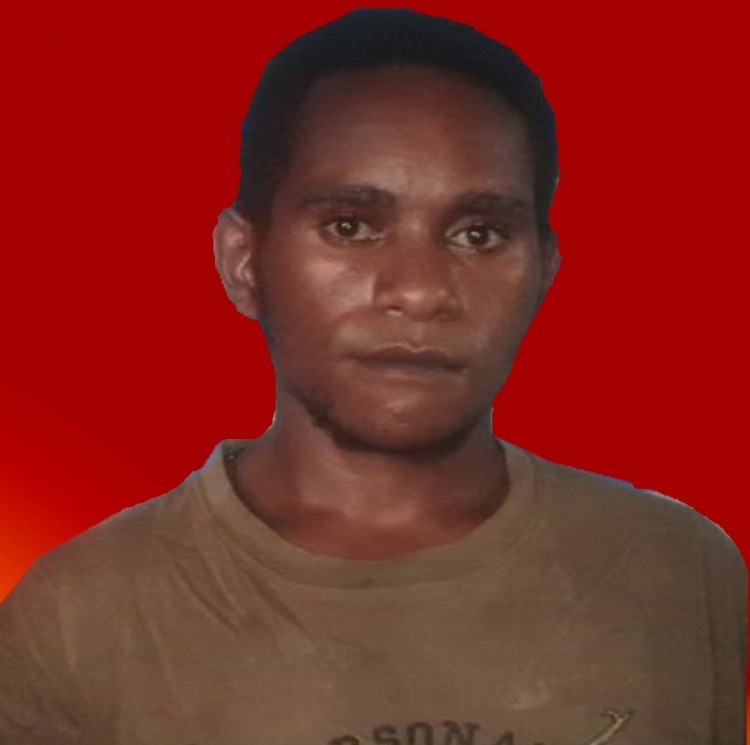 Unknown attackers fatally stabbed Tasman while he was motorcycling to work in the outskirts of Jayapura. In addition to the Ambarita case, this type of brazen attack bears strong similarities to the August 1 attack at Nafri, the delivery of a bomb on June 28 to the KumHAM office in Kotaraja, and many years of so-called “ninja” attacks from motorbikes that Papuan civilians have suffered for years. This case, like so many others, has been unsolved, and police are showing no signs of hurrying any investigations. Papuan media sources have said that it absolutely critical for the TNI to be fully transparent with this investigation, and not blame Papuans immediately without credible evidence for an attack that bears all the hallmarks of Indonesian Islamist violence – especially in the use of the sword – or factional violence between members of the security forces involved in illegal business activities. Gruesome and credible reports have been provided to West Papua Media detailing random attacks on students not necessarily connected with political activism. August 23 was a day of particular brutality, with similarities in all cases with the attack on Captain Tasman – connections that the police have so far refused to examine. At 04:15 in the morning of August 23, two University students were attacked near the Cenderawasih University Campus (UNCEN) in Abepura, by perpetrators believed to be members of Kopassus from Abe Beach. Noris Selegani, 21, an International Relations Student at UNCEN, and Martinus Nayagau, 20, a student at the Department of Mines USTJ, were coming home on a motorbike from a University graduation party when a black four wheel drive Avanza blocked their path. According to interviews from human rights workers who visited the victims in hospital, the two students were rammed by the Avanza and fell off their motorbike, but then several men dressed in Police trousers and “police civvies” (bajupreman) jumped out the car and beat them. 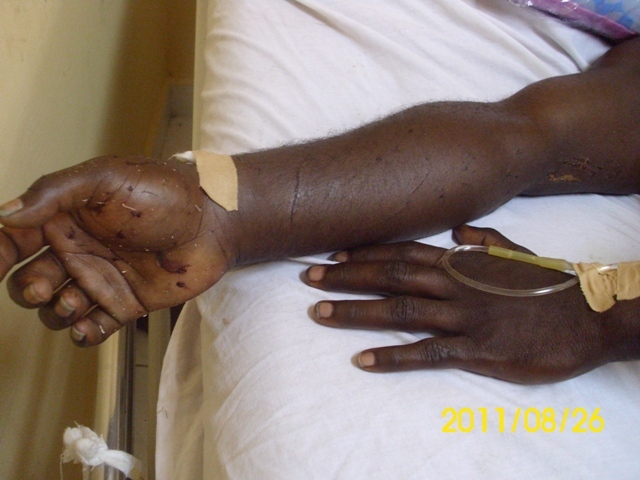 Using martial arts techniques, the assailants punched at Noris’s heart three times in quick succession so he lost consciousness, then broke his jaw, and left and right hands and upper arms, causing deep lacerations at the breaks and paralysis. 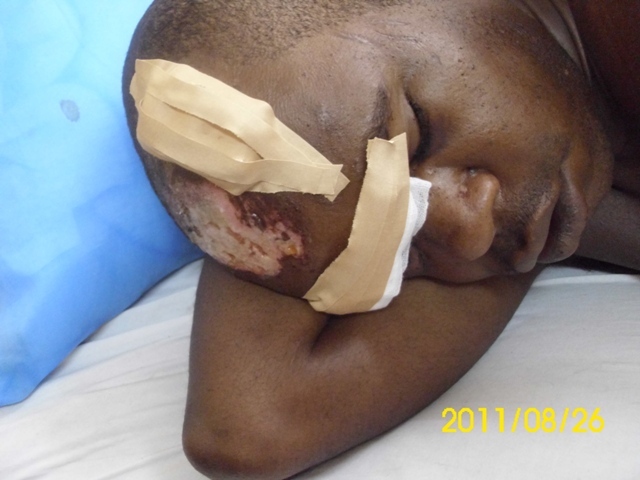 Martinus received significant head and eye injuries from the beating. The assailants left the two victims for dead on the road. A garbage truck brought the two unconscious victims to Abepura Hospital for treatment. According to witnesses and medical staff, Noris and Martinus were denied trauma treatment for two days at the hospital by medical personnel, as armed police and army took over the emergency area and refused to allow treatment of Papuan casualties. It is still unknown why armed officers evicted Papuans from the emergency ward of the hospital on August 24, but treatment was only able to be provided after the armed men ended their occupation. The students finally received surgery on August 26 and are currently recovering from their ordeal. 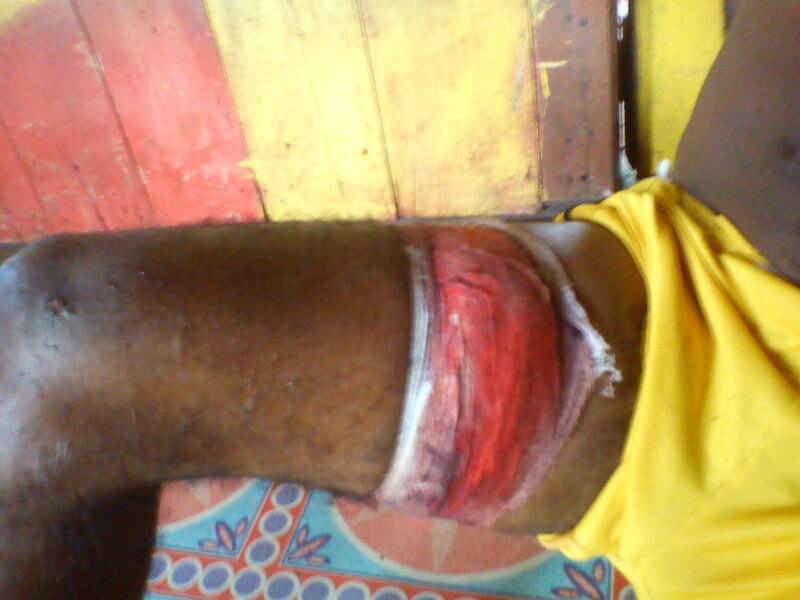 Later on the 23rd, terrified university students contacted via a West Papua Media stringer, speaking on the condition of anonymity, provided an account of the brutal stabbing of their friend, a student at Cenderawasih Universty (UNCEN). The student, who was testing out a newly purchased telescope on the summit of a hill above the new UNCEN campus, was with a friend and were ambushed and stabbed by unknown assailants. KNPB activists considered the stabbing – at around 1pm on August 23 – highly curious on the day of the Tasman incident, when TNI and Police were on high alert and standby (siaga) everywhere. Evidence has also come to light of another extrajudicial police shooting of a civilian in his front garden, during a security sweep. Marthen Wenda, 38, was shot through the thigh and beaten by Brimob police after being chased when falsely accused of being a thief at the Kangkung Outdoor Market, at 9pm on August 23. 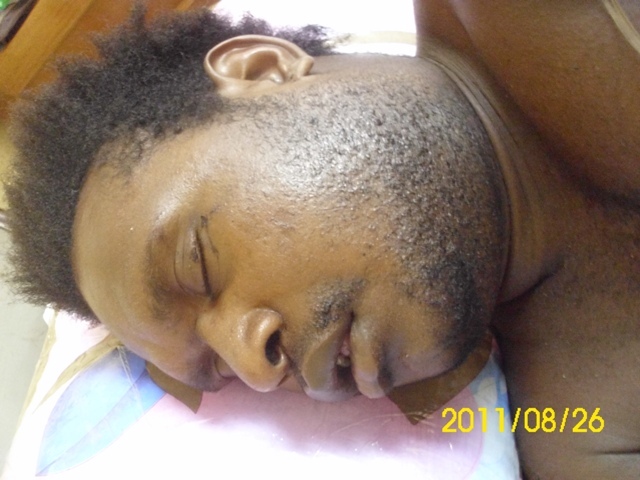 In video testimony provided to West Papua Media, Wenda described how he ran and was shot – extrajudicially – in his own front garden by a Brimob officer from Abeupra police station. Wenda sustained a deep gunshot wound in his thigh. These unsolved acts of violence that have been occurring around the Jayapura region since August 1, have been attributed to “unknown persons”, but are widely believed by many to be the work of security forces, with many acts of brutality being recorded against civilians in the aftermath. Police are reluctant to ever investigate, citing lack of evidence. The KNPB believe these acts appear to be part of a scenario designed by certain quarters. “This scenario is being promoted by people who want to get their hands on funding. These acts of terror or intimidation are aimed at warning Papuans not to go on pressing for their human rights,” said Mako Tabuni of the KNPB, speaking alongside Buchtar Tabuni, the general chairman of the KNPB, as well as Viktor Kogoya, during a press conference on 6 September. A policy of terror to dissuade activism? The ongoing brutality against civilians in Jayapura is not quelling the desire for independence or organising for campaign of civil resistance. Indonesian intelligence officers are continuing to threaten any activist that speaks out against the increasingly brutal colonial occupation of West Papua, extending intimidation even to churchmen who are not advocating independence and regularly engaging in activities that intimidate local people. Indonesian Police on August 18 opened fire on a car of West Papua independence activists in Abepura, West Papua, after arresting three other activists from the West Papua National Committee (KNPB) for distributing pamphlets in support of demonstrations planned for August 20. Brimob Officer Bripka Numberi allegedly fired indiscriminately in pursuit of the vehicle of KNPB activists who had enquired to the safety of a detained friend, shooting 21 rounds into the car. After the vehicles occupants panicked and ran, Numberi continued to open fire on the unarmed group, shooting Demi Asso, Soni Kosay in the feet. 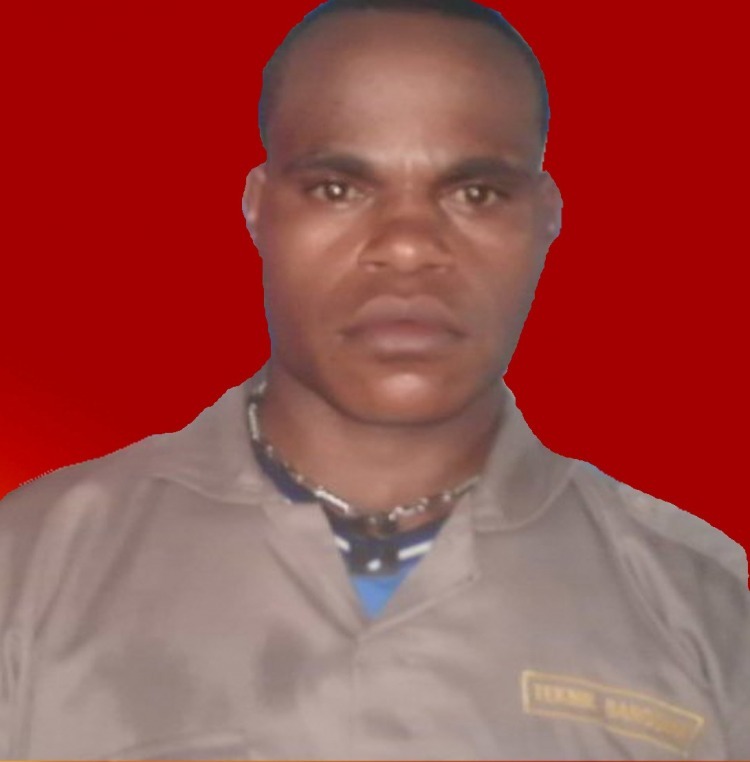 A Papuan farmer was killed in his garden at Arso on August 19 by soldiers from either Kostrad or Kopassus. After a terrifying day for local villagers who were threatened repeatedly by soldiers occupying their village and gardens, Das Komba, 30, was returning from his banana grove when gunfire erupted. His body was found on August 20, and police later came to exhume his body. According to a statement from KontraS, the Papua Regional Military commander, Major-General Erfi Triassunu later confirmed that shots were fired by a member of the TNI – because they alleged that Komba “was preparing to attack his men.” He said he was not clear about what happened but claimed that Komba had tried to seize a weapon from his men who were on patrol in the area. According to Triassunu, his men could not possibly have shot someone at random. However, Bintang Papua reported an autopsy confirmed that there were fragments of ammunition in Komba’s body but the calibre of the bullets is not known. Witnesses said that Komba had been told to go home by three soldiers, but just as he turned round, intending to return home, they heard two gunshots. His body was not found until Sunday, two days after the shooting. Local human rights sources, pro-independence activists and even clergy have reported to West Papua Media of a significant increase in threatening behaviour from military officers and regular anonymous SMS and phone threats against anyone expressing their opinions or reporting evidence of daily life in Papua. However the SMS threats are considered to be so routine by the recipients that they often do not both to keep them, and are impossible to verify. West Papua Media was recently provided with significant and thorough confidential police documentation that details the techniques of SMS and cell phone monitoring and communication blocking strategies regularly utilised by security forces against civilians. Activists report they receive an influx of threats after they observe security agents acting suspiciously in their vicinity. One recent wave of threats was targeted at activists from the West Papua National Authority, telling recipients “to get ready for their execution date”. WPNA activists have responded to these latest threats by simply redoubling their efforts for massive mobilisations ahead of the planned Third Papuan Peoples’ Congress. KNPB activists are also redoubling their efforts by ensuring that the SMS threats are simply countered with improved security practice and careful movement. KontraS is conducting a thorough investigation currently into the SMS threats. The reports detailed in this investigation are just the tip of the iceberg, and of course are only a small over all area of Papua. Many more reports of threats, intimidation and acts of violence against both ordinary Papuans and activists have been received in the past month by West Papua Media, but cannot be published at this stage as they cannot be verified. Currently, significant military operations are still going in the Puncak jaya and Tingginambut areas of the highlands, designed to flush out the troops of Goliat Tabuni. In Paniai regency, thousands of security forces are occupying villages of the Mee people, and local church officials are helping to broker significant peacebuilding measures to limit the civilian displacement and potential for conflict. In Serui, local organisers from the West Papua National Authority are daily threatened with murder by Kopassus and Kostrad troops, with entire villages occupied to intimidate one activist living there. At time of writing, it was unclear if Indonesian security forces were acting with or without clear direction of Jakarta. However, Jakarta is at a crossroads with international attention on Papua. On September 7 at the Pacific Island’s Forum meeting in Auckland, the visiting United Nations Secretary-General Ban Ki-Moon was drawn into the Papua issue, but was unequivocal in his response. “whether you are an independent state or a non-self-governing territory or whatever, the human rights is inalienable and a fundamental principle of the United Nations. We will do all to ensure that people in West Papua, their human rights will be respected,” Mr. Ban told reporters. West Papuan civil resistance activists understand that their internal consolidation is being greeted with trepidation from Jakarta. By the violent actions of the last month, the “unknown persons” of the TNI are increasingly desperate to nip this desire for freedom in the bud and are trying every little black bag trick they can think of. However, according to most observers on the ground in Papua, the military’s black bags are becoming increasingly transparent, and aided by increasing capacity for citizen media, Papuan civil society is becoming increasingly impatient for – and capable of – the disciplined change that is going to shake Jakarta at its foundations once again.